Carefully prepare the faux pumpkins, ensuring the surface is clean, dry, and dull. 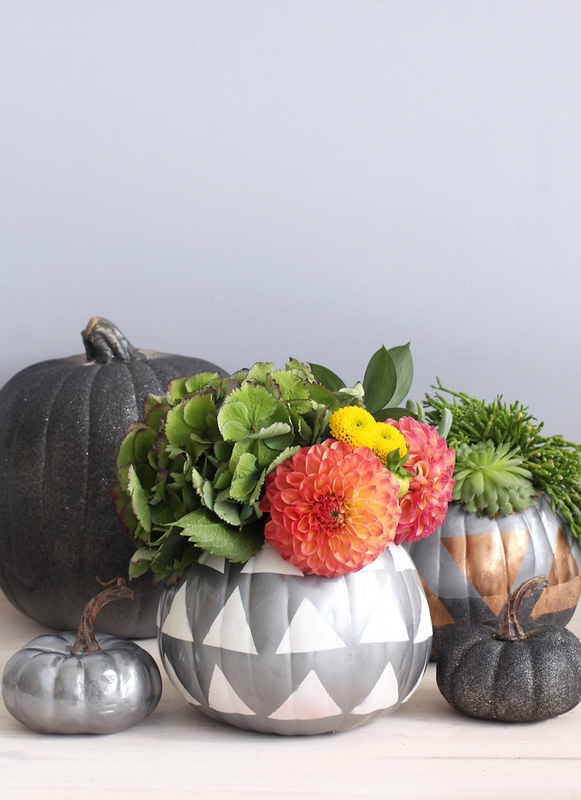 To create the patterned pumpkins, cut the painters tape into triangles, and place them onto the pumpkin. After reading can label for proper application and safety instructions, spray light coats of Krylon® Premium Metallic Pweter Gray in sweeping motions onto the pumpkin. Set aside to dry. Once the paint is fully dried, carefully peel off the triangles to reveal the pattern. 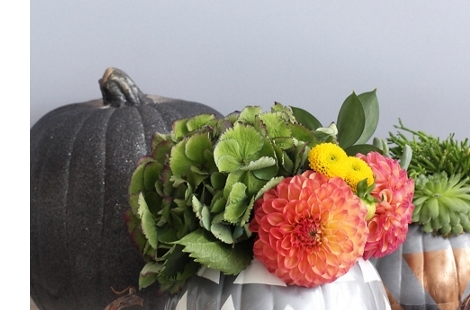 In order to create a dipped look, take off the bottom of the pumpkin, and spray using Krylon® Premium Metallic. Spray paint some mini pumpkins using Krylon® Glitter Blast™ in Starry Night to use as accents in the centerpiece.